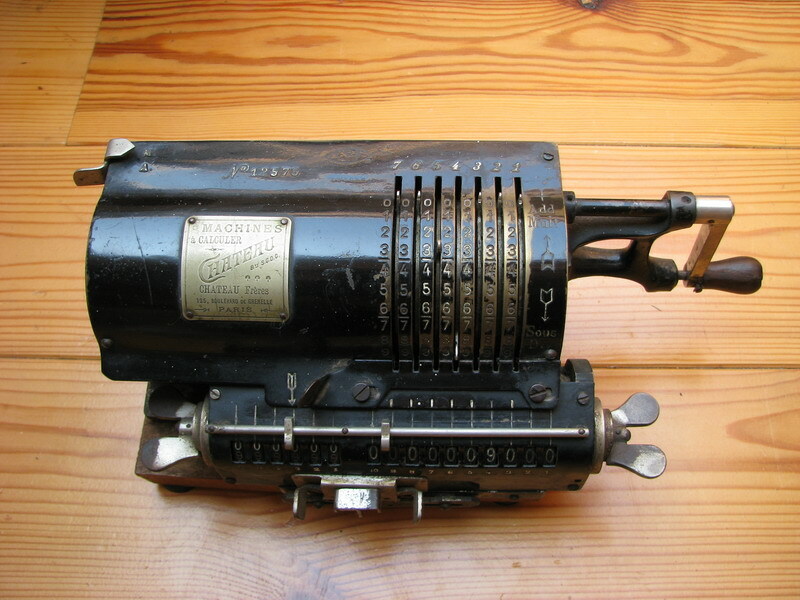 It has 7 inputs, and a very short carriage, with a revolution counter with only 6 digits. Frankly, in that respect the machine looks a little ridiculous. 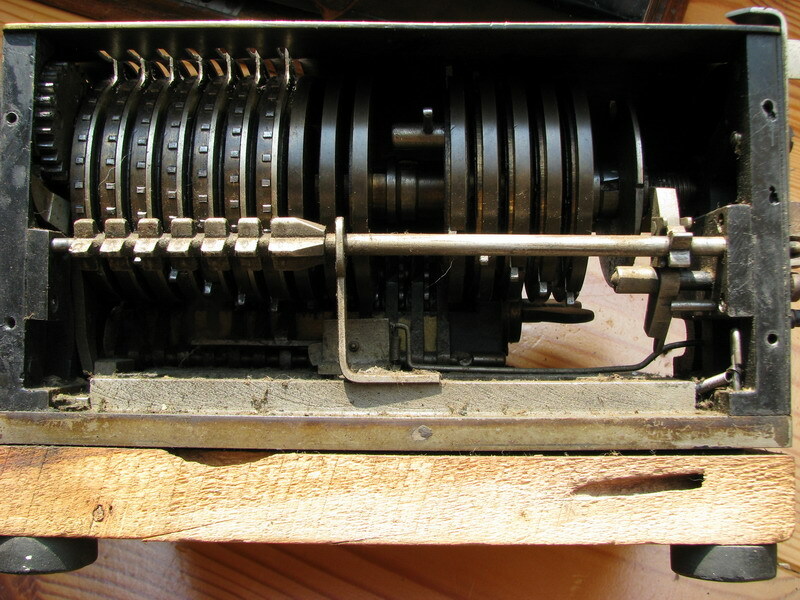 The revolution counter shows two numbers per digit - instead of counting up to nine in white, and then back down to one in red, the revolution counter wheels here have the complements juxtaposed in red, making it always easy to read off the complement in red when subtracting or dividing, and thus also allowing the use of shortcut calculations without screwing up the result. 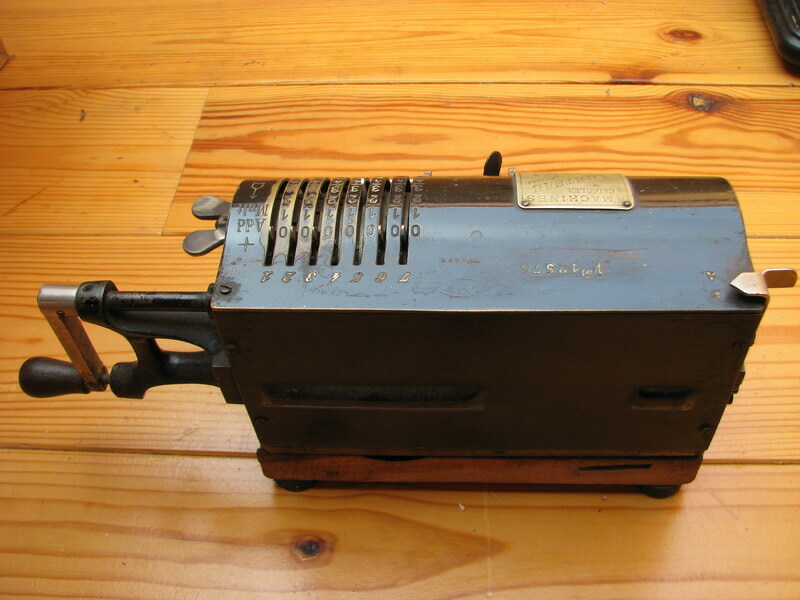 There is also full tens carry in the revolution register, with a separate tens' carry cylinder on the main axle. 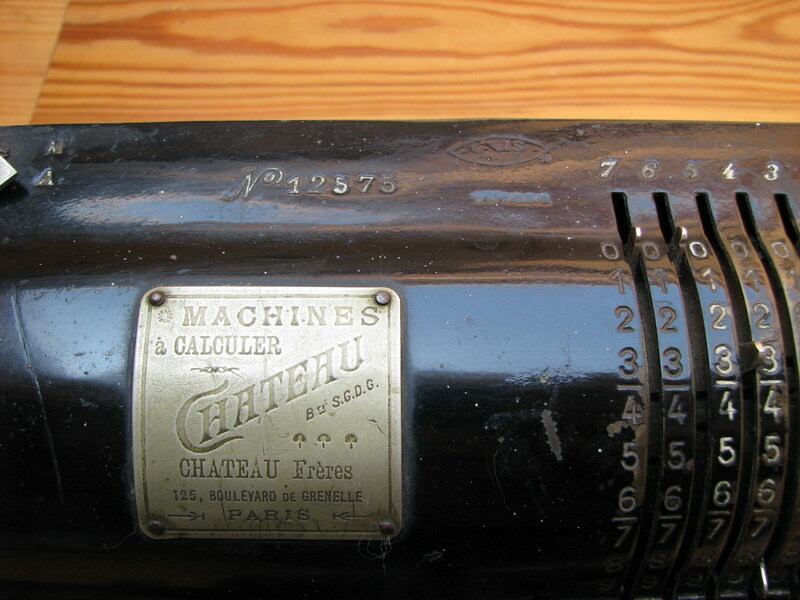 The machine also shows the "UNIS" mark, and the maker's plate prominently shows the Paris address, which now contains a more recent appartment building with a hair and nail shop. 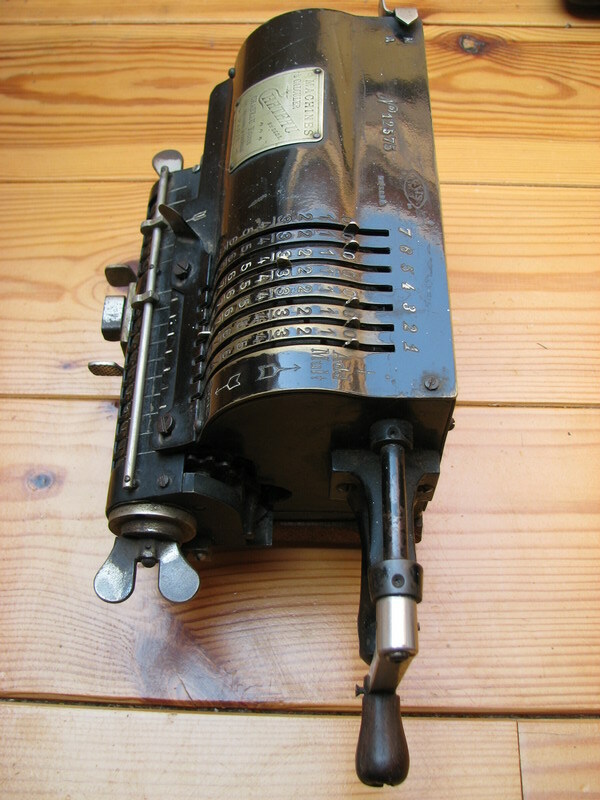 Finally, what is perhaps the most interesting feature of the machine, and by the look of the input pins, also has been used a lot, is this lever here at the top left. 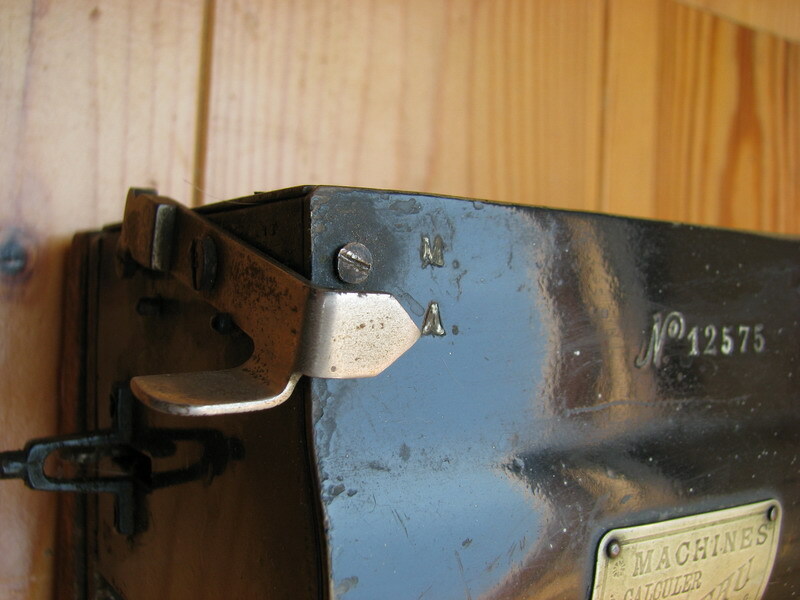 Then with the mechanism shifted to the right, and thus operating (A). 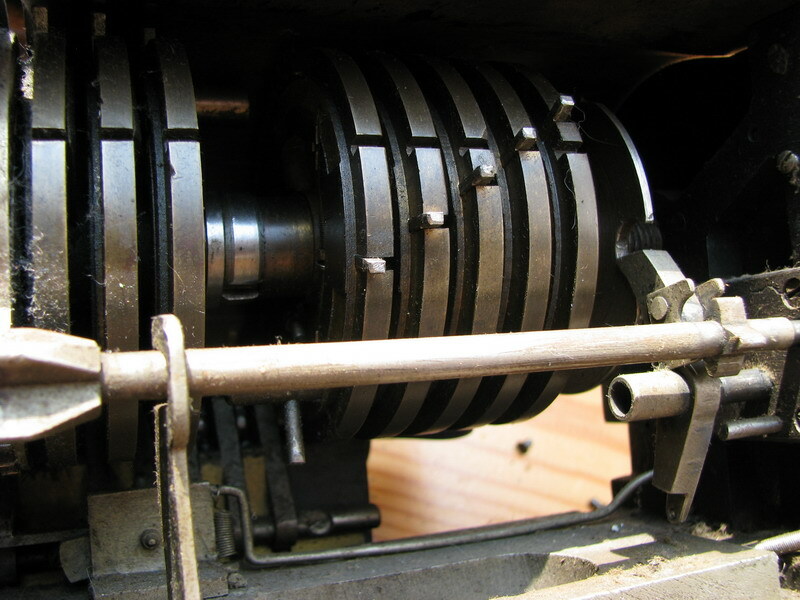 The small four-toothed gear at the right of the picture is held by the claw, which in turn is held in position by the steel disk on the main crank. 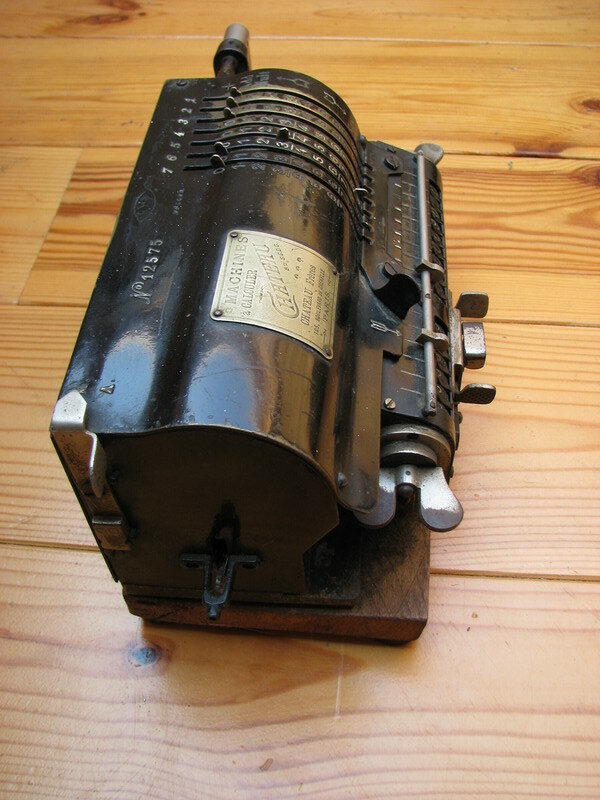 The comb thus cannot move, and the input levers that hit it are reset. 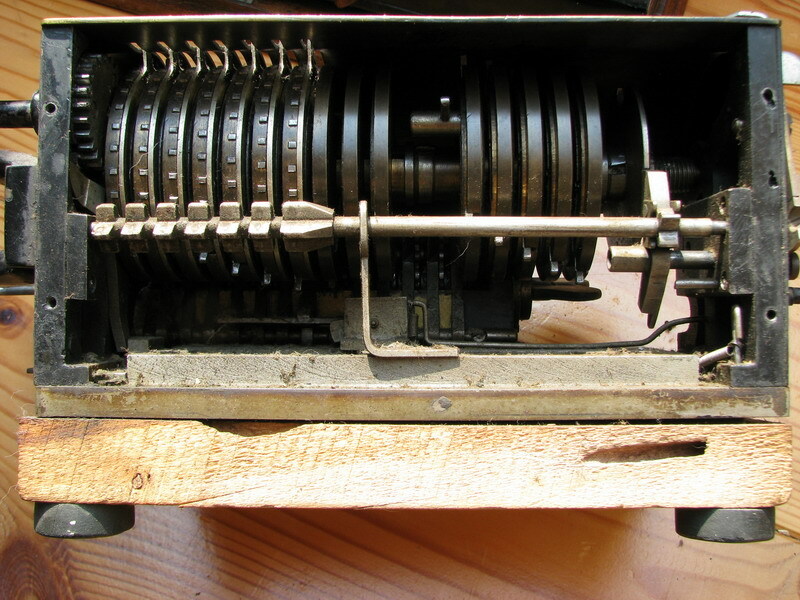 This is the mechanism right before the input levers all reach zero. You can see the cutout in the steel disk in which the extension of the claw is about to fall. 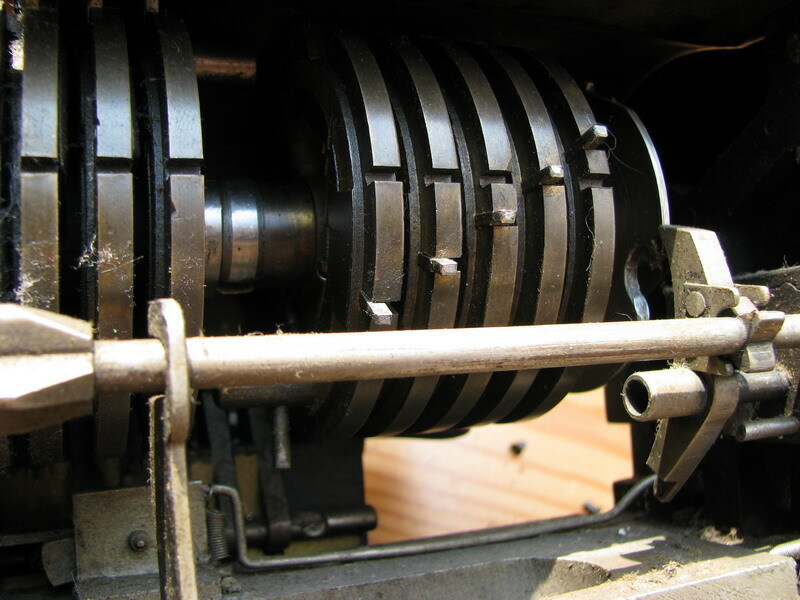 And that is exactly what has happened here, releasing the small gear, and thus allowing the shaft to turn, which then allows the input pins to rotate by the comb. Neat!